Telecommunications & Electronic Plating Services | Gatto Industrial Platers, Inc.
We offer complete metal finishing services at our Chicago facility using high-volume rack- and barrel-plating process lines, which allows us to meet tight production schedules while controlling project costs. Gatto Industrial Platers employs skilled operators with many years of experience. We have developed techniques to rise above the competition in providing a consistent appearance and better coverage on complex shaped parts. We consistently deliver superior results when plating difficult areas such as corners and interiors of boxes and frames. Quality is Gatto Industrial Platers’ top priority. With more than four decades of experience, we have developed an unmatched quality system. We are an ISO 9001:2008 certified company with a quality team including a full-time chemical engineer and laboratory staff. Plating baths are tested regularly to monitor performance, quality and prevent defects. Production samples are regularly salt spray tested to monitor corrosion resistance. Gatto Industrial Platers accepts orders for products of all sizes. 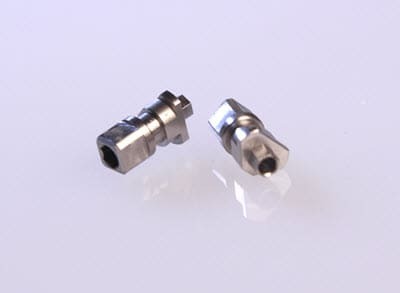 Small machined parts can undergo Zinc and Zinc-Nickel plating at our 31-station Jessup Barrel Line. We can accommodate manufacturers of larger, heavier parts at our 15-station Rack Zinc and Aluminum Chromating lines. Items reaching 27 feet long and 8,000 pounds are serviced by our King Kong Parts Line, which contains the nation’s largest Zinc tanks. These tanks work well to accommodate large frames, data racks and electronic enclosures.